Despite coming out in 2009, EA’s Sims 3 is still considered among the most popular games on the PC and understandably so. There is hardly any other game that grants players as much control as Sims 3. The depth and vastness of the game is such that there is always something new for a player to explore. However, it is for this very reason that new players may struggle with a few things, for example hiring a babysitter. If a player needs to stay focused on their career, but also have a baby or toddler at home that needs to be looked after at all times, then they are left with no option but to hire the services of a babysitter. With the hired help looking after the young one, the parents can comfortably focus on excelling in their career. 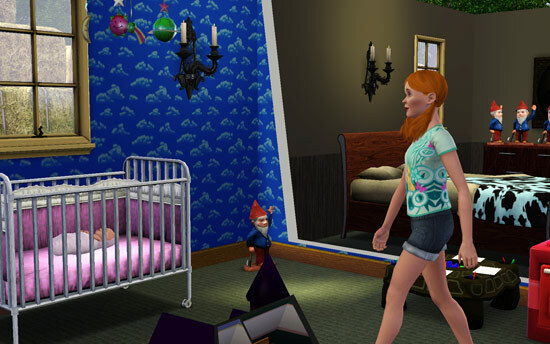 In order to hire a babysitter in Sims 3, your Sim will need to use their cell-phone. Unlike the previous titles in the Sims series, where the player had to buy a phone by entering the “Buy Mode” and install it in the house, a cell-phone is present in the Sim’s inventory since the start of the game. Open your Sim’s inventory and select cell-phone from there by clicking on it. When you click the cell-phone, a number of options will appear on the screen. Look for the “Call for Services” option and click it. There are a number of services that a Sim can request for using their cell-phone. However, since you are concerned about getting someone to watch over your baby or toddler while you are at work, select “Babysitter” from the list of services. It will be up to you to decide whether you want to hire the babysitter just once, or if you want them to follow your schedule and come over to take care of your young one when you are off to work. Once you are done requesting for the service and leave for work, a random teen from the town will come over to take care of the young one that you have left at home. The babysitter can be either female or male.